Monday, September 24, 2018 – The three posts with the most views on this blog, Dora and the Explorers, are about as different from each other as they can be. Everyday the WordPress system gives me stats that include the number of view that day for what blog posts were viewed. I can also get the stats for a month of views, a year of views or the views from the beginning post on Dora and the Explorers. Two of the posts I find very odd that people would be interested to such a big extent. I thought I’d share the top three with you. Weird right? Lots of people must be needing to repair or replace that exactly motor home door lock! Number Two with 1224 views is 09.27.15 Getting settled in Las Vegas, Nevada! What’s weird about this one is that it’s just information about Las Vegas. Not about all the things we’ve seen with photos and videos which I think are much more interesting. Those don’t have anywhere near as many views! Obviously a lot of people liked the first two but the number three post is something everyone should read. It was the wildest, scariest, weirdest day of our RV Lives, maybe even all our life. Check it out if you haven’t already! Also, I’m sure you’ve notice advertisements on my page. If you do see something that you might be interested in please click to check it out. I get a few cents per click so thank you in advance if you do check anything out. Every penny counts! We’ve also started listing Dora for rent on a bunch of Facebook groups and the Marketplace. It’s caused quite a lot of new activity. Just had three folks interested on one weekend tailgating at LSU. One of them booked and paid first so they got it! We are ordering an exhaust extension for Dora so we can provide it (for a fee) to anyone wanting to tailgate at LSU. Let us know if you’re ever interested in renting Dora. If you tell us you saw it here on our blog we’ll give it to you at a special price! 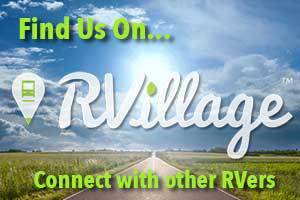 All the information you’d need to know can be found at: at: https://rvshare.com/rvs/details/1099791 Dora MUST BE RESERVED through RVShare.com so that you are covered by insurance.